Do you experience urine leakage when you exercise? Do you suddenly have to urinate, seemingly without any warning? As many as 20 million American women suffer from bladder control problems. Often, it hinders a woman’s lifestyle, but many women cope with it out of embarrassment or simply because they are unaware that their condition can be cured or managed. But you don’t have to live with it. In North Miami, gynecologist Dr. Remberto Santos will diagnose your bladder problem and discuss your treatment options. He will help you understand your condition and what you can do to improve your quality of life. Stress incontinence occurs when exercising, coughing, sneezing, or other activities puts pressure on a weakened bladder sphincter. Urge incontinence (overactive bladder) happens when the bladder inappropriately contracts, and you’re not able to get to the bathroom quickly enough. Overflow incontinence occurs when you don't feel the urge to urinate, your bladder doesn't empty well, and small amounts of urine leak continuously. Total incontinence is the continuous leakage of urine. Mixed incontinence is a combination of any of the above types of urinary incontinence. 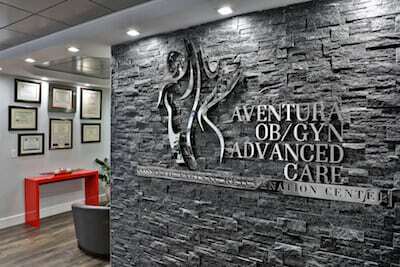 Aventura OB/GYN Advanced Care provides effective treatment for female urinary incontinence at our office in North Miami. Don’t put it off any longer; schedule an appointment with Dr. Santos today. Call (305) 931-7960 or use our convenient online request form.